Caitanya was born as Visvambhar Mishra in 1486 as the second son of Jagannath Mishra and Sachi Devi in the town of Navadvipa in Nadiya,West Bengal, India. In his youth, Chaitanya was an erudite scholar, whose learning and skills in argumentation were next to none. Though religious at heart, Chaitanya did not display an active interest in the Vaishnava religion in his younger years. Krittibas Ojha was a medieval Bengali poet. His major contribution to Bangla literature and culture was the translation of the great Indian epic Ramayana to Bangla. Krittibas Ojha was a Brahmin by caste. His work, the Sri Ram Panchali, is popularly known as the Krittivasi Ramayan. In 1803, his work, edited by Jaygopal Tarkalamkar, was published by the Serampore Mission Press. Roy, (Dewan) Kartikeya Chandra (1820-1885) lyricist, writer, classical singer, served the Nadia Raj family as a private tutor and music instructor and finally as the diwan or principal revenue officer. As a performer of kheyal, Kartikeya Chandra introduced this branch of music to the court of nadia and was also instrumental in popularising this genre in Bengal. He composed many popular songs which he published under the title of Gitamanjari (1875). Roy, Dwijendralal (1863-1913) poet, playwright and lyricist, was born on 19 July 1863 at Krishnanagar in Nadia district, where his father, kartikeya chandra roy, was the dewan. His mother, Prasannamayee Devi, was a descendant of Adwaita Prabhu. Dwijendralal graduated in arts from Hughli College in 1883 and obtained his MA degree in English from Presidency College a year later. He then travelled to London where he obtained the FRAS in agriculture and the MRAC and MRAS from the Royal Agriculture College and Agricultural Society. Returning to India he received training in survey and revenue assessment in Madhya Pradesh and was appointed a deputy in the government. He was later appointed a deputy magistrate in Dinajpur. In 1890, while serving as a settlement officer at Sujamuta pargana in Burdwan estate, he came into conflict with the governor on the issue of peasants' rights. In 1905 Dwijendralal established a literary society, Purnima Milon, in Kolkata. He became the editor of the monthly bharatvarsa in 1913. Dwijendralal had a literary bent of mind and started writing poems while still in his teens. While still a student he wrote Aryagatha (part 1, 1882). During his stay in England he wrote The Lyrics of Ind in 1886. Among his other books are collections of poems and songs: Aryagatha (part 2, 1894), Hasir Gan (1900), Mandra (1902), Alekhya (1907), and Triveni (1912). His sketches and satires include Ekghare (1889), Samaj Bibhrat O Kalki Avatar (1895), Tryahasparsha (1900), Prayashchitta (1902), and Punarjanma (1911). He also wrote plays, many of which are included in university syllabi. Among his mythical plays are Pasani (1900), Sita (1908) and Visma (1914). His social plays include Parapare (1912) and Banganari (1916). He also wrote a number of historical plays: Tarabai (1903), Rana Pratapsingh (1905), Mebar Patan (1908), Nurjahan (1908), Sajahan (1909) and Chandragupta (1911). Most of his plays were successfully staged in Kolkata and elsewhere. He is specially remembered for his historical plays. He was also a well-known composer of modern songs; dwijendragiti still form a regular feature of radio and television programmes. He died on17 May 1913 in Kolkata. 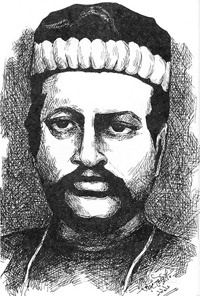 Ishwar Chandra Gupta (March 1812- January 23, 1859) was a Bengali poet and writer. Gupta was born in the village Kanchanpolli or Kanchrapara Chabbis Pargana (currently in the state of West Bengal, India). Ramtanu Lahiri (Bengali) (1813-1898) was a Young Bengal leader, a renowned teacher and a social reformer. Peary Chand Mitra wrote about him, “There are few persons in whom the milk of kindness flows so abundantly. 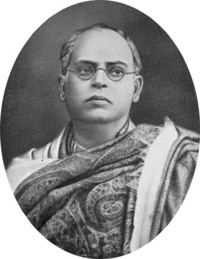 He was never wanting in appreciation of what was right, and in his sympathy with the advanced principles.” Sivanath Sastri’sRamtanu Lahiri O Tatkalin Bangasamj, published in 1903, was not only his biography but also an overview of Bengali society of the era, “a remarkable social document on the period of the Bengal Renaissance.” It is still widely read and used as reference material for the period. An English version A History of Renaissance in Bengal - Ramtanu Lahiri: Brahman and Reformer, edited by Sir Roper Lethbridge, was published in London in 1907. Bijoylal Chattopadhya was born in1898. Bijoylal Chattopadhyay, started setting the local community on the path of social reforms. Since then the name has been changed to Harijan Palli. In independent India’s first election in 1951Bijoylal Chattopadhyay of Congress won the Krishnagar seat. 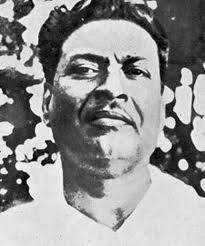 Bibhutibhushan Bandopadhyay (12 September 1894 - 1 November 1950) ( বিভূতিভূষণ বন্দ্যোপাধ্যায় Bibhutibhushon Bôndopaddhae; last name also rendered as Banerjee or Banerji) was a Bengali novelist and writer. His most well known book is the autobiographical novel, Pather Panchali (The Song of the Road), incorporated (along with Aparajito , the sequel) into the memorable Apu Trilogy films by Satyajit Ray. Sengupta, Jatindranath (1887-1954) a pessimist poet, was born at Shantipur in the district of Nadia of west bengal. After receiving the BE degree (1911) from Shibpur Engineering College, he joined Nadia District Board and then Kasimbazar Raj-Estate as an overseer. He entered into the literary world by writing poems and soon came to be recognised as a major poet. Although he wrote verse in the age of Rabindranath, he was able to break face of his influence and earn fame for his distinctive style. Jatindranath was a creative writer who made society and contemporary life his theme. He treated these subjects satirically. All his poetical works reflect a deep pessimism that life is full of sorrow and happiness ephemeral-seem to be his viewpoint. But the conclusion that life was full of sorrow was not for him the result of an outburst of emotion; on the contrary, he judged life in the light of his experience and observation. He published the following collections of poems: Marichika (Mirage, 1923), Marushikha (Flame of the desert, 1927), Marumaya (Illusion of the desert, 1930), Sayam (Evening, 1940), Triyama (Night, 1948), Nishantika (End of the night, 1957). 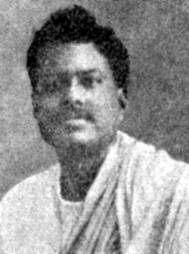 Bandyopadhyay, Karunanidhan (1877-1955) poet and patriot, was born on 19 November 1877 in Shantipur of the Nadia district. His father, Nrisingha Bandyopadhyay, was a school teacher. Karunanidhan passed the Entrance examination in 1896 from Shantipur Municipal School and FA from Calcutta Metropolitan Institution in 1899. He studied for the BA at General Assembly's School, Kolkata, but failed to pass the examination. He then began teaching. He taught at a number of schools: the Shantipur Municipal School, Gaibandha High School, Calcutta Sri Krishna Pathshala, Hughli Government Branch School and Uttarpara Government High School. Karunanidhan began writing while still a student. He wrote mainly patriotic poems, some of which were published in Bangamangal (1901). They were published anonymously to avoid political repercussions. His other works include Prasadi (1904), Jharaphul (1911), Shantijal (1913), Dhandurva (1921), Shatanari (1930), Rabindra Arati (1947), Gitaranjan (1951), Gitayan (1959), etc. Karunanidhan was influenced by rabindranath tagore.The themes of his poems include romantic love, the pleasures of conjugal life, love for nature and spiritualism. In recognition of his literary contributions, he was awarded the Jagattarini Medal by the university of calcutta in 1951. He died on 5 February 1955. Mitra, (Rai Bahadur) Dinabandhu (1830-1873) eminent dramatist, was born in 1830 at Chouberia in Nadia, and was the son of Kalachand Mitra. His given name was Gandharva Narayan, but he changed it to Dinabandhu Mitra. Dinabandhu Mitra's education started at a village pathshala. His father arranged a job for him on a zamindar's estate (1840). But the small boy fled to Kolkata, where he started working in the house of his uncle, Nilmani Mitra. Around 1846, he was admitted to the free school run by james long. Dinabandhu was a bright student and won a number of scholarships. In 1850, he enrolled at Hindu College and was awarded scholarships for academic excellence. However, he did not appear in his last examination, and, instead, started working as a postmaster at Patna (1855). He served in various posts in the Postal Department in Nadia, Dhaka and Orissa. In 1870, he was made supernumerary post- master in Calcutta. In 1872, he joined the Indian Railway as an inspector. Dinabandhu started writing while still at college. Inspired by ishwar chandra gupta he began writing poems which were published in different journals. His poems attracted the attention of intellectuals, but his favourite genre was the drama. His work in the postal department had taken him to various parts of the country where he had come in contact with different sorts of people. These experiences were reflected in his plays. Among his books of poems are Suradhuni Kavya (first part in 1871, second part in 1876), Dvadash Kavita (1872). His plays include Nildarpan (1860), Nabin Tapasvini (1863), Biye Pagla Budo (1866), Sadhabar Ekadashi (1866), Lilavati (1867), Jamai Barik (1872), Kamale Kamini (1873), and Jamalaye Jibanta Manus. He also wrote a novel titled Poda Mahehshvar. Jagadananda Roy was born in a landed aristocratic family of Krishnanagar, Nadia. He taught in a local missionary school for some time. His flair for writing on scientific matters in a simple and lucid style brought him into contact with Rabindranath who was then the editor of Sadhana. Rabindranath found these writings very attractive and when he found that Jagadananda was in dire straits, he offered him a job on his estate. Knowing that this work was not appropriate for someone like Jagadananda, he also asked him to teach his children. When the Brahmacharyasrama was founded, he brought Jagadananda over to Santiniketan as a teacher. He was the first Sarvadhyaksha of the school. A dedicated teacher, he taught continuously till his retirement in 1932, after which he continued to take Mathematics classes voluntarily. He wrote a number of books on popular science, his mission being to propagate scientific truth in simple Bengali in the manner of Ramendrasundar Trivedi. Graha-nakshatra, Prakritiki, Vaijnaniki, Jagadishchandrer Avishkar, Banglar Pakhi were some of his books. Rajsekhar Basu, or Parashuram, was one of the most venerated figures of 20th century Bengal. A leading light of Bengali literature, Rajsekhar was a remarkable personality. He was a chemist by profession, but his expertise ranged over the fields of mechanical engineering, cottage industries, linguistics, lexicography and the scriptures. Above all, he was a humorist par exellence, and an astonishingly creative writer. Rajsekhar was born on 16th March, 1880, at his maternal uncle's home in Barddhaman district. He was the second son (and sixth child) of Chandrasekhar and Laxmimani Devi. Rajsekhar spent his infancy and childhood in Darbhanga. He was an inquisitive child and would often take his toys apart in order to experiment with them. In an essay on Rajsekhar, Shashisekhar, his elder brother, writes about how his interest in science manifested itself right from his boyhood. Babu Kumud Nath Mullik of Ranaghat rendered a valuable service to the cause of progress of Bengali literature, as he has done by compiling and publishing an account of the District of Nadia under the title of Nadia Kahini. As to the subject matter of the book, we can confidently assert that every reader will have to be struck with the extent of rasearch that the young author has made to collect all possible information about Nadia. 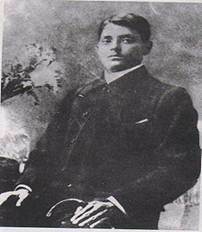 Bagha Jatin , born Jatindranath Mukherjee (Jotindrônāth Mukhōpaddhāē) (7 December 1879 – 10 September 1915) was an Indian Bengali revolutionary philosopher against British rule. He was the principal leader of the Yugantar party that was the central association of revolutionaries in Bengal. Having personally met the German Crown-Prince in Calcutta shortly before the World War I, he obtained the promise of arms and ammunition from Germany; as such, he was responsible for the planned German Plot during World War I. Another of his original contributions was the indoctrination of the Indian soldiers in various regiments in favour of an insurrection. In 1925, Gandhi told Tegart that Jatin Mukherjee, generally referred to as “Bagha Jatin”, was “a divine personality”. Little did he know that Tegart had once told his colleagues that if Jatin were an Englishman, then the English people would have built his statue next to Nelson’s at Trafalgar Square. In his note to J.E. Francis of the India Office in 1926, he described Bengali revolutionaries as “the most selfless political workers in India”. 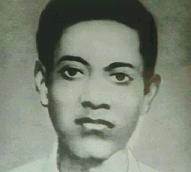 Basanta Kumar Biswas (6 February 1895, Poragachha, Nadia District – 1915) was a pro-independence activist involved in the Jugantar group who, in December 1912, is believed to have bombed the Viceroy's Parade in what came to be known as the Delhi-Lahore Conspiracy. He was initiated into revolutionary movement by Jugantar leaders Amarendranath Chattopadhyaya and Rash Behari Bos. MITRA ANANTAHARI: b. 1906 at v. Begumpur, Distt. Nadia, West Bengal; s. of Shri Ram Lal Mitra; Took part in the Non-Cooperation Movement (1921). Joined the Revolutionary Party and organized revolutionary activities at Krishnagar. Prepared bombs at Dakshineswar. Arrested on November 10, 1925, as an accused in the Dakshineswar Bomb Case. Sentenced to imprisonment for life. Killed Bhupen Chatterjee, the Deputy-Superintendent of Police, while in jail. Tried for murder and sentenced to death. Died on the gallows in the Alipur Central Jail on September 28, 1926.